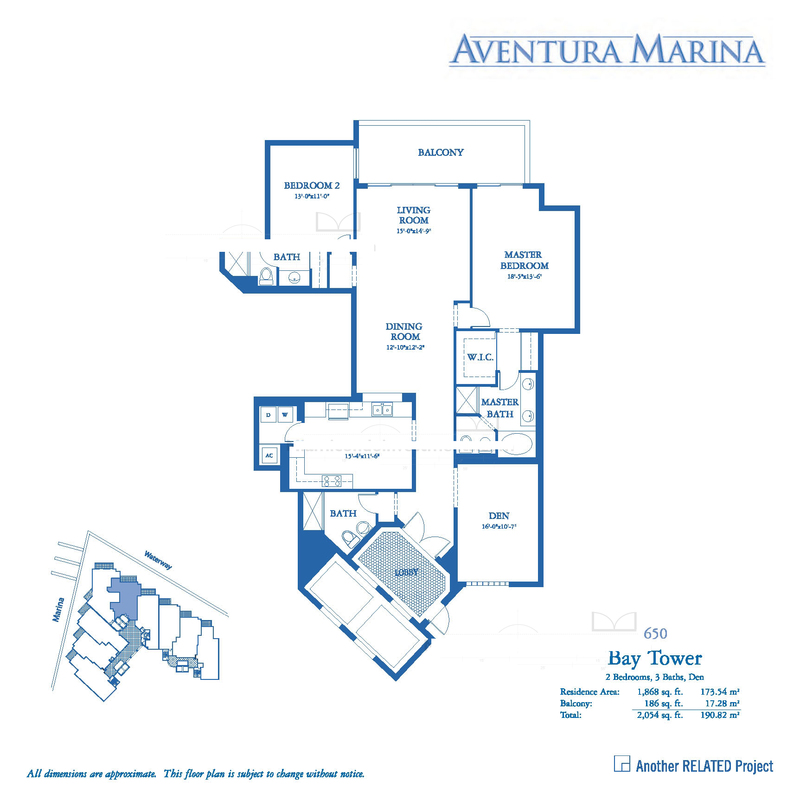 Aventura Marina is a luxurious complex spread over 10.5 acres of beautifully landscaped property with direct access to the bay. 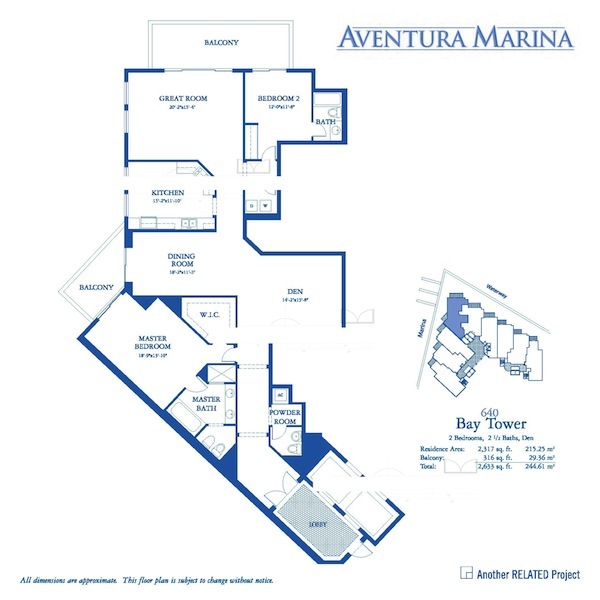 This Mediterranean architectural piece comprises of 2 and 3-bedroom apartments, with only three residences per each level. 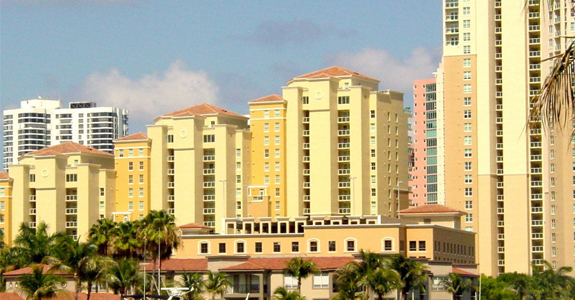 Units vary in size from 1,400 to 1,800 sq. ft. 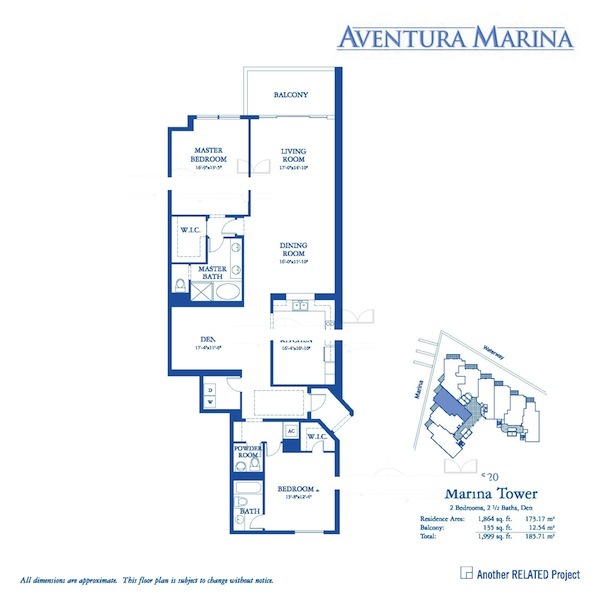 This condominium is known for being the most family-friendly, since it offers various activities and benefits for the whole family. 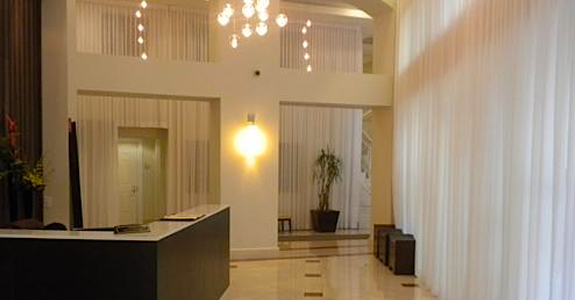 It is a very safe place with around-the-clock security and constant surveillance. 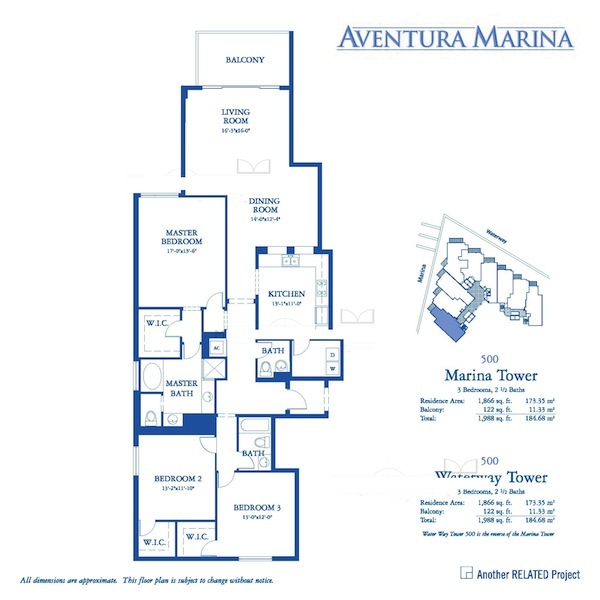 All residences at Aventura Marina feature high ceilings, floor-to-ceiling windows and spacious sun terraces. 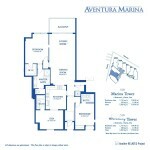 All apartments have original designs and masterly finishes. Kitchens are decorates with exquisite ceramic tile, custom design cabinets performed in European style and exclusive granite countertops. 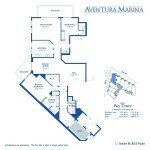 Bathrooms have ceramic tiling, double porcelain sinks, marble vanity tops and designer faucets. All master bathrooms are supplied with luxurious roman tubs and recessed lighting. 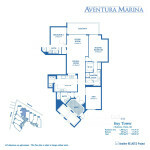 Aventura Marina offers impeccable amenities. Everyone will find something special here. 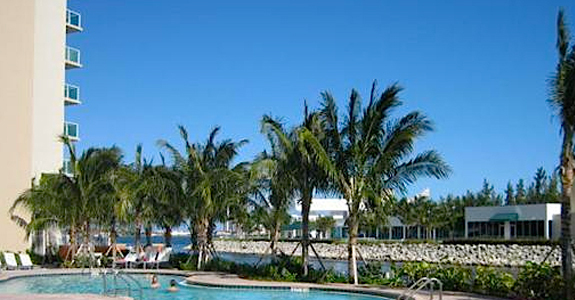 Residents and guests can enjoy the spacious pool and a beautiful sun deck, go for a workout to the high-tech fitness center and spa or enjoy a game of golf at the 3-hole pitch and put golf course. Your children can enjoy themselves at the playground or take part in numerous activities and classes available especially for the young ones. Business center is always open to those who work from home. If you wish to unwind after a hard day’s work you can relax at the media room or the card room. 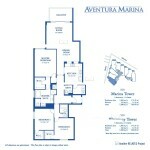 Aventura is a perfect place to live. 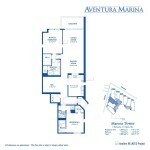 It has the most convenient location, nestled half way between the charming Fort Lauderdale and Miami. 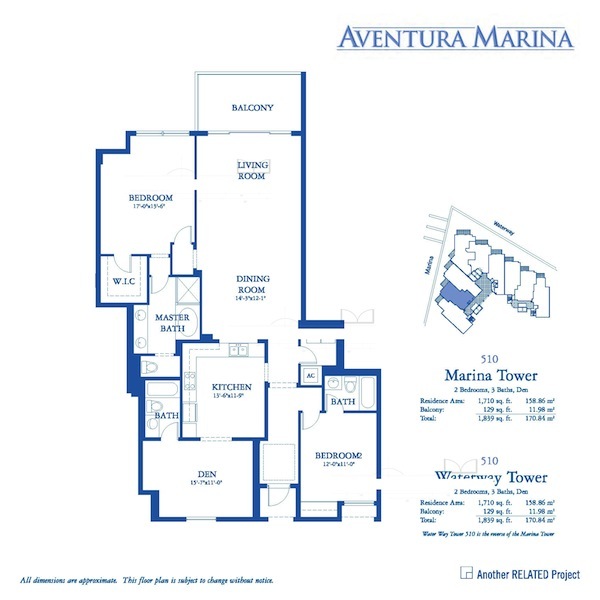 If you purchase a home at Aventura Marina you will be miles away from the best local beaches, exciting night life and all important cultural and entertainment venues. 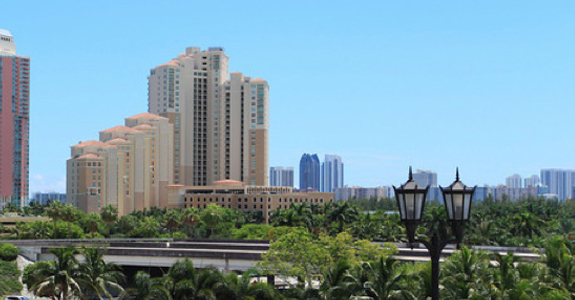 Famous shopping centers at Bal Harbour Shops and the famous Aventura Mall are just a short drive away from here, as well as elite dining and best entertainment in the area.